The Lockhart Lions took care of business on the road Friday night against San Antonio Memorial, cruising to a 41-0 victory and equaling last year’s win total at just the halfway mark of their season. The Lions (3-2, 1-1) rolled up 364 yards on offense, including 316 on the ground, dominated time of possession and were catalytic on defense, forcing three turnovers that included recovering a first quarter Minuteman fumble that effectively ended any real chance Memorial had at a win. 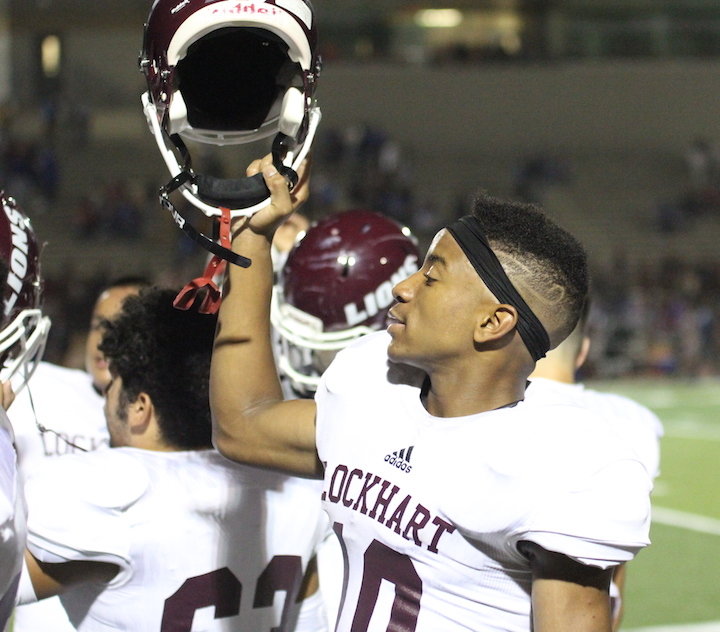 Lockhart’s defense held the Minutemen to just 155 total yards from scrimmage and only eight first downs. Defensive back Caleb Jennings intercepted Memorial quarterback Joel Lozano twice in the second half. Neither team got much going on its first possession. The Lions got started slowly on offense, punting the ball away on their first drive after the Minutemen received the opening kickoff and went 3-and-out. Memorial seemed to build momentum on its second possession, with Lozano completing his first pass of the day to Alan Hernandez for a first down at the Lockhart 35. 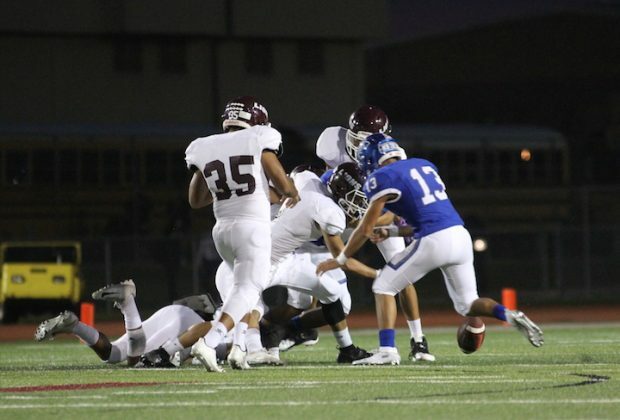 But Hernandez was met by a swarm of Lion defenders that included Eddie Tucar, Devin Clark and Adam Romero who gang tackled him and forced him to fumble with 4:45 left in the first quarter. 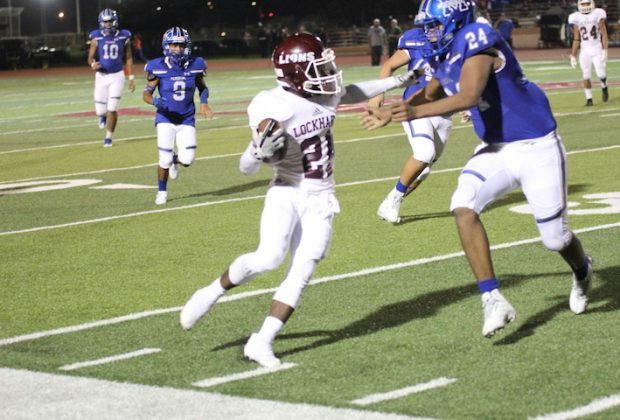 Senior linebacker Alex Sosa recovered the ball and a few plays later, Daequan Ellison ran for a 20-yard touchd0wn that would give Lockhart a lead it would never relinquish. Daequan Ellison finished the day with two scores on 13 carries and ran for 158 yards. 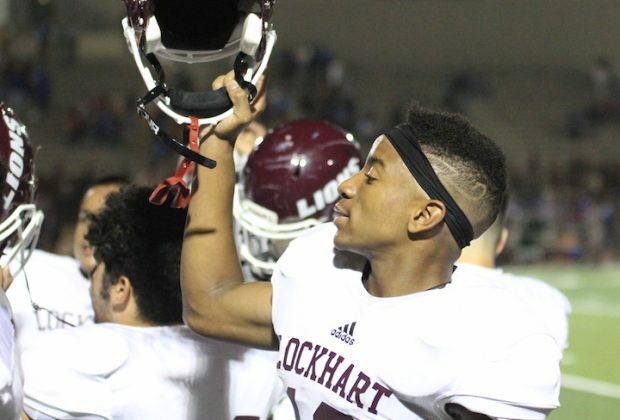 Younger brother Daetron Ellison had 72 yards on 10 carries with two rushing touchdowns. 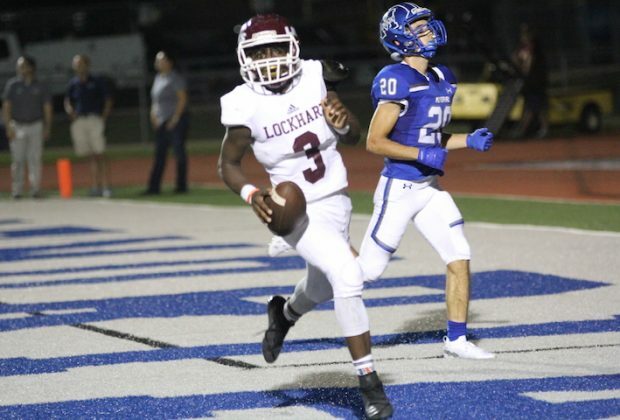 Backup quarterback Jackie Edwards Jr., starting in place of injured junior QB Jayden Garza, scored on a 3 yard run in the fourth quarter and Jesus Aldana had his first rushing score since the opener against Travis. The Lions have a bye on Oct. 6.